WLT583G (1969) Bedford VAM70 . Plaxton Panorama Elite C45F. Ex-Grey Green N16 . Seen 1992 Pilton . The year Travellers tried but failed to gain access to the festival . 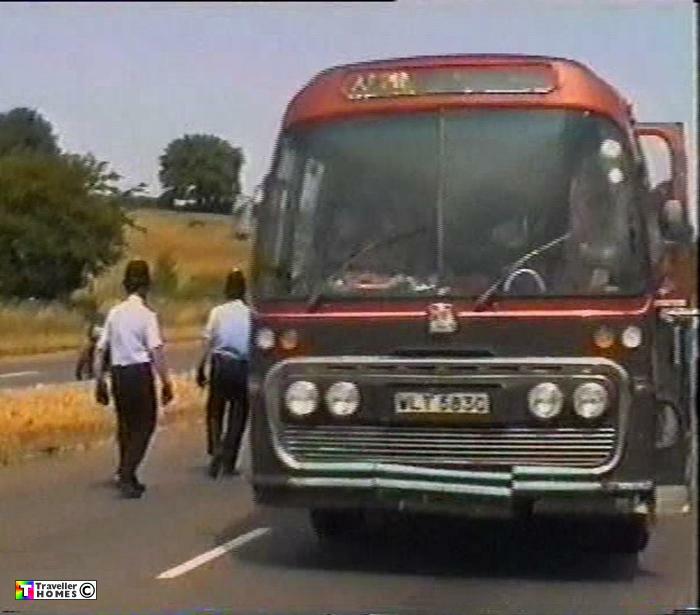 I think this is the same coach now parked at Newport I.O.W & lived in by Ness ? Photo = ITV Doc.